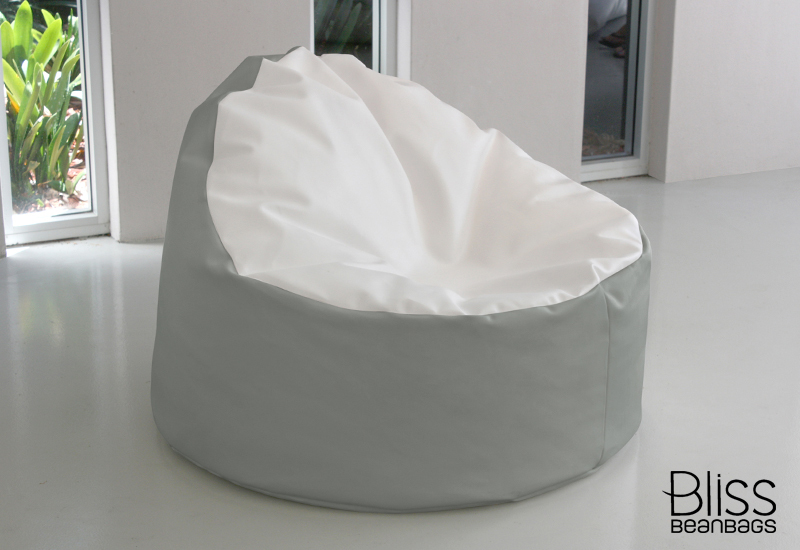 Sink into this super size bean bag and let the contours cuddle around you. More than 1m across and 1m wide at the back, it’s one of our biggest chairs. With so much room, you can move your body into any position you can imagine. And its design still makes it easy to sit on and stand up from.We’ve nick-named it the ‘bear hugger’. Sitting in it, you’ll feel so snug, you’ll want to hug it back. 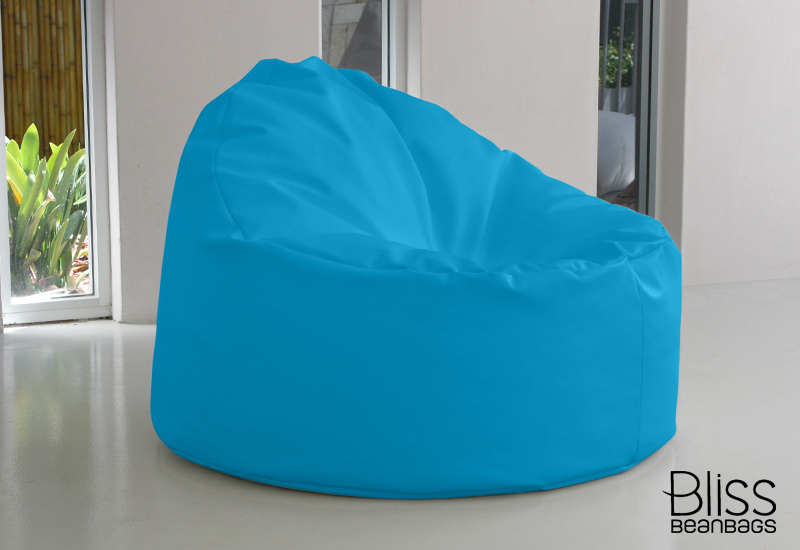 Colourful, durable, comfortable and pleasing to the eye – that’s how I view our new Bliss Bean Bag. It takes pride of place in my son’s bedroom although my 2 year old, on the other hand, loves to play ‘stacks on’ with mummy during reading time! Yep we love it! Bliss indeed! The service and the product were both above our expectations! Just pumped up my bean bags with beans and I love it. Now out in the sun it is going to take prime spot under the garden umbrella for some afternoon reading in the beautiful spring weather. 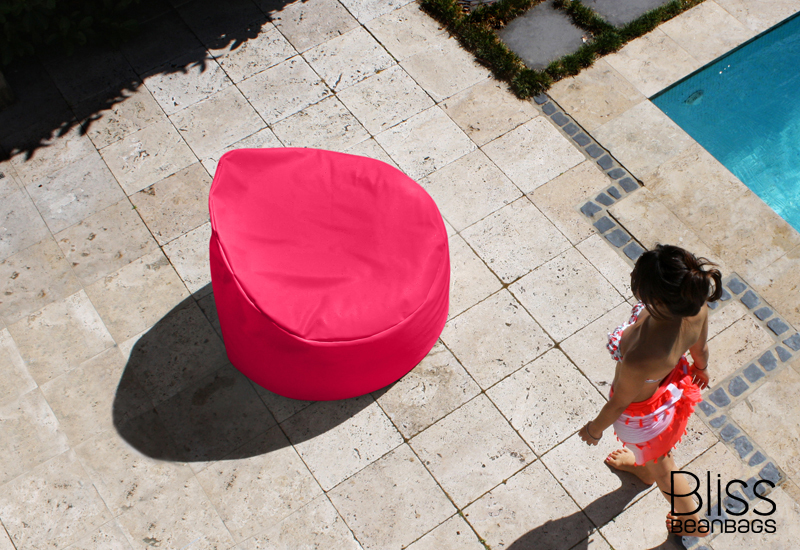 Absolutely love our circular lounger. Set up a quiet reading corner in the spare room, kids got to choose a colour each, the purple and orange works a treat together. Bright, colourful and super comfy, kids just want to grab a book and snuggle in! I’ve been extremely impressed with the quality and customisability of my bean bag and matching ottoman. It’s turned out better than I could have ever expected, and has been a perfect addition to my lounge room. It’s so comfortable that the couch has been neglected since its arrival. It’s been a great place for myself and my dogs to fall asleep. 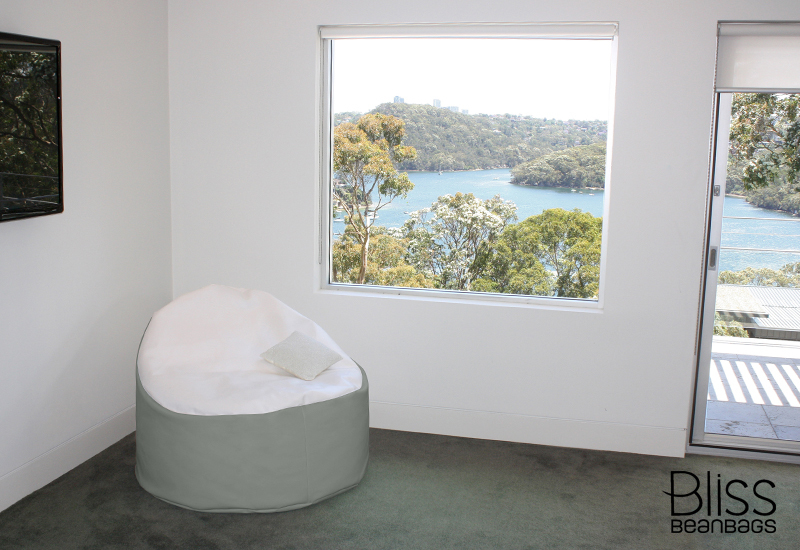 I’ll happily recommend Bliss Bean Bags to as many friends and clients as possible. We absolutely love our new bean bag! It’s a great size and so comfortable. The quality is fantastic and the your service was most efficient. Thanks again. I work from home in my bliss beanbag now as working at a desk was giving me neck and back strain. I find a bean bag supports my back much better than a chair or the couch and eliminates my back and neck problems. 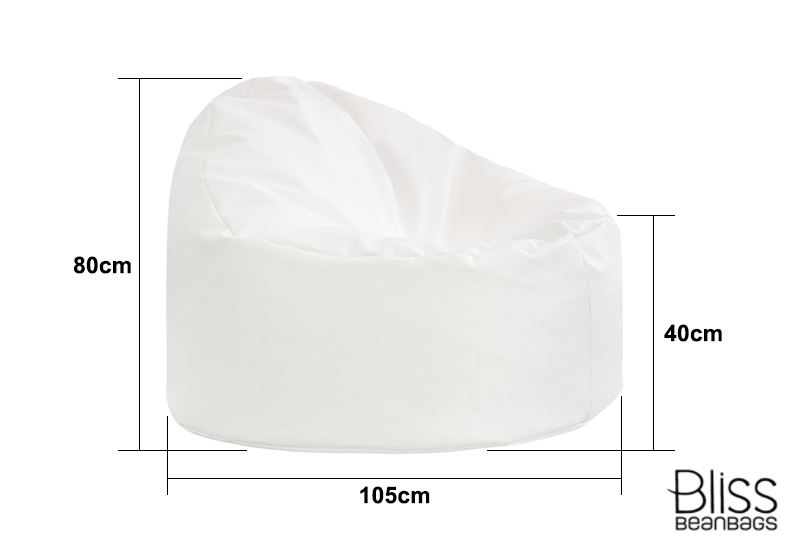 The bean bag is very well constructed and tough enough for me to use it out on the patio in nice weather. 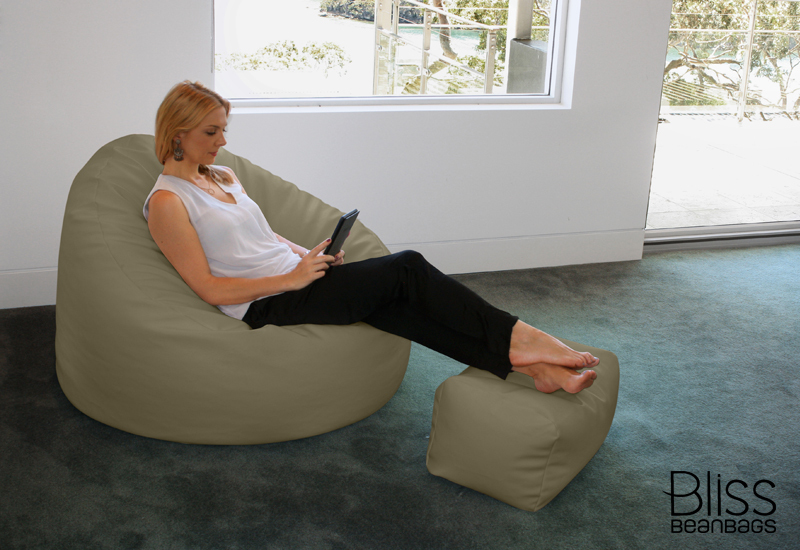 I would recommend a bliss beanbag to anyone. I just love my Bliss Bean Bags. The colours I chose are amazing and they look wonderful in my therapy room. They are super comfortable. I even got the head master to sit on one and even he thought they were amazing. I am super happy. Thank – you and will certainly order more in the future . We purchased the large circular lounge in black. Not only does it look great, it is highly functional and very comfortable. I am happy to say we made the right choice buying a Bliss Bean Bag. 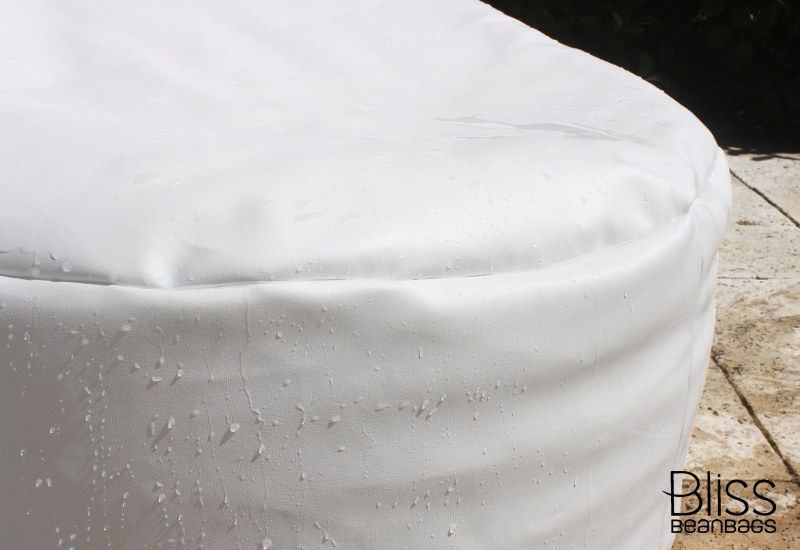 We chose to use a fabric that has superior safety, hygienic and longevity qualities – marine grade vinyl. 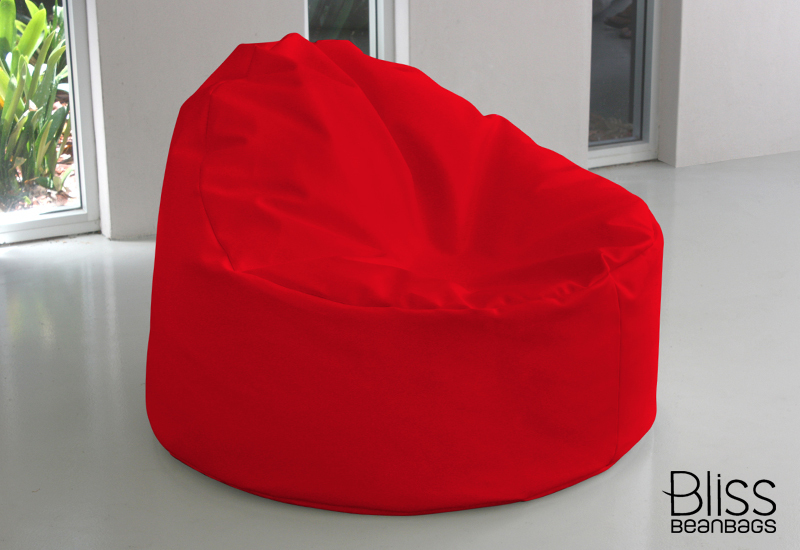 Select from 120 vibrant colour combinations to create a bean bag unlike any other. 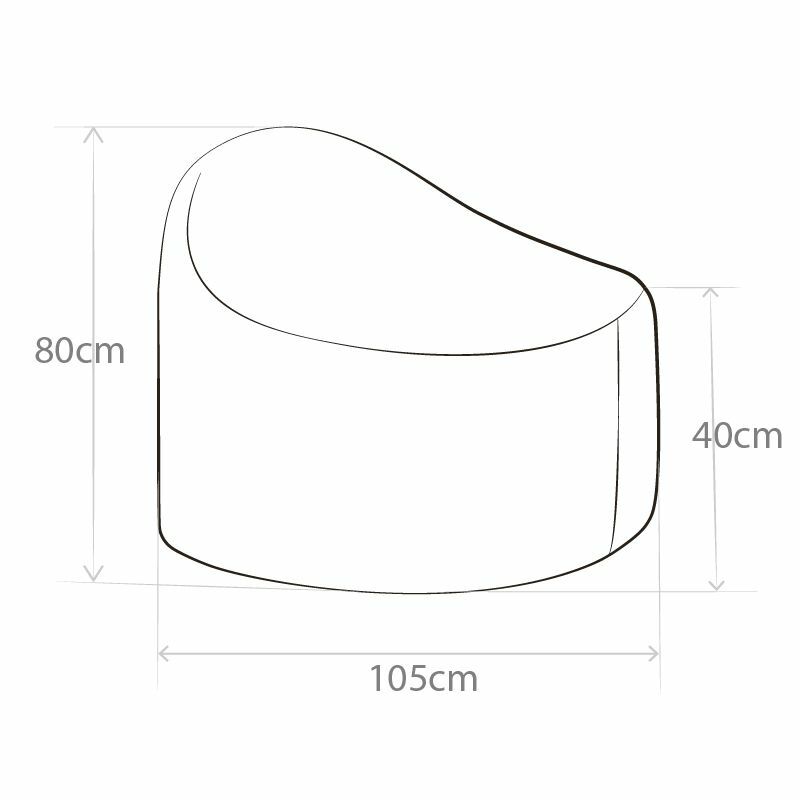 We do love designing unique bean bags, but our real priority is to keep them looking great for years to come. 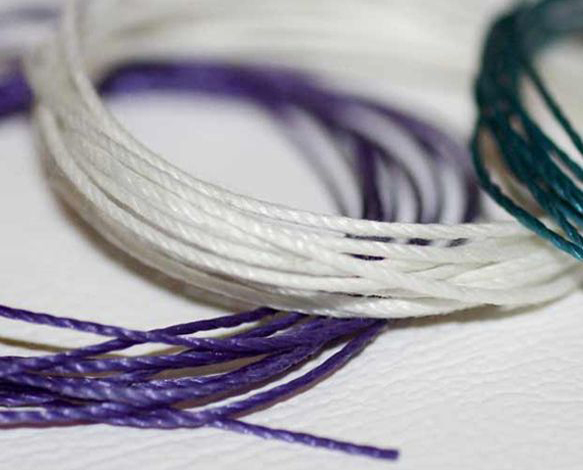 This is why we choose to sew them together with 25 Ply nylon thread. 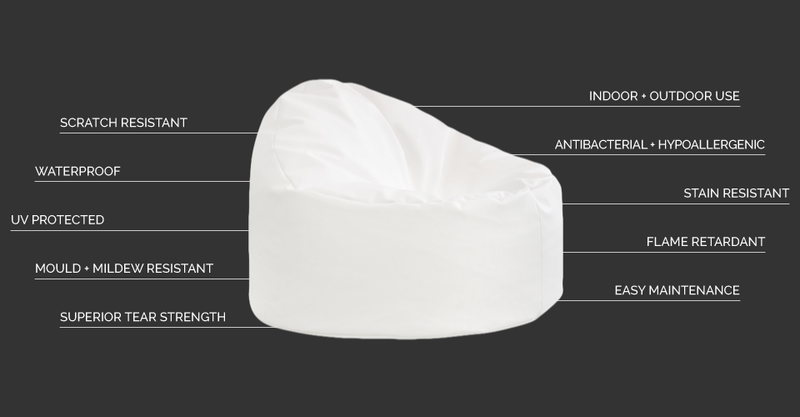 As well as colour matching your bean bag it is extremely strong, resistant to UV and water damage, we know this may sound overcautious however we stand by our products with a lifetime warranty. We do like to fuss about the details. Should you have any concerns regarding safety, we have these well covered. Quite literally. We make our bean bags using safety zippers with an in-built safety trigger that needs to be elevated for it to open or close. This is normally done using a paper clip. 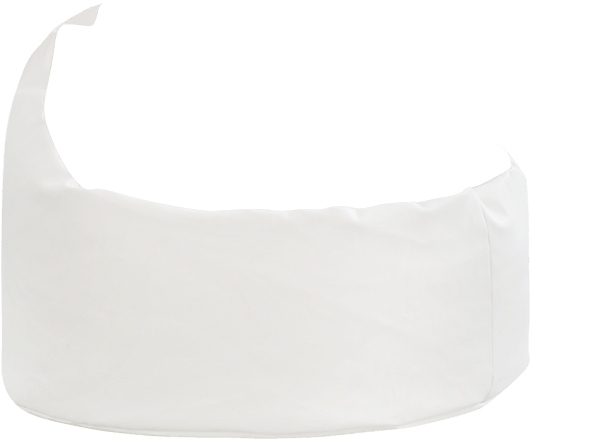 Your family and friends can really muck about handling your bean bags roughly without worrying about a bean spill avalanche. So go on and jump on them. You know you want to! 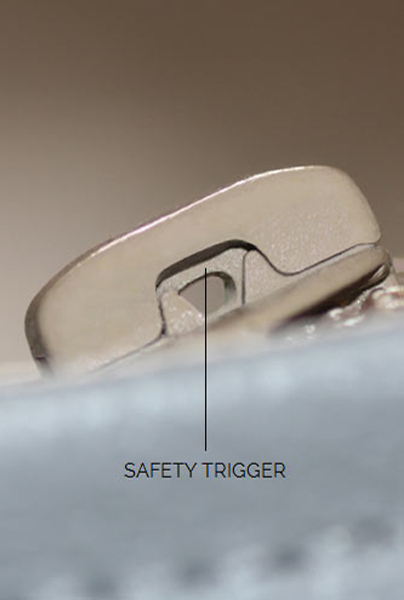 We keep an eye out for all safety details. It's why we incorporated a raised overhang of fabric over our safety zippers after they're closed. 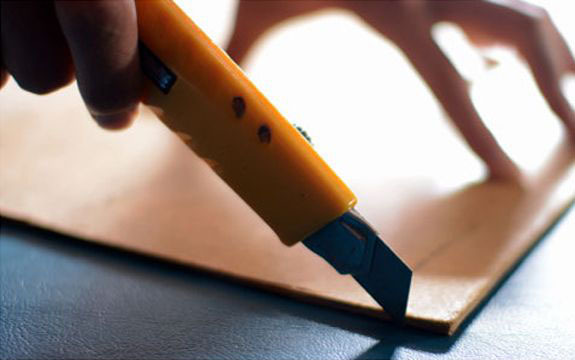 This provides a supplementary level of safety against any accidental openings and ensures there are no sharp edges to be found. We have had a rather long period of 'gestation'. We did all our tests and experiments before we ever sold a single product. 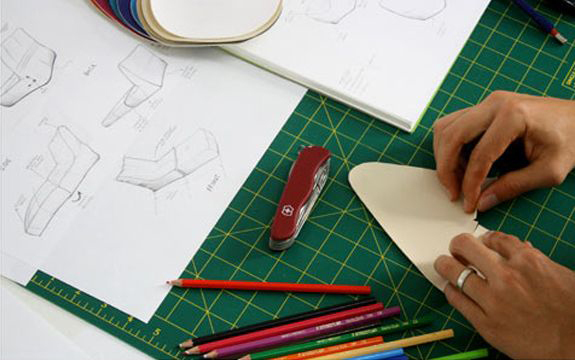 We designed, we tested and we redesigned our bean bags over a span of two long years. But we needed to establish that our methods and materials were refined for ideal balance, shape, safety and appropriateness for our Australian lifestyle. The bean bags we make are rather special. 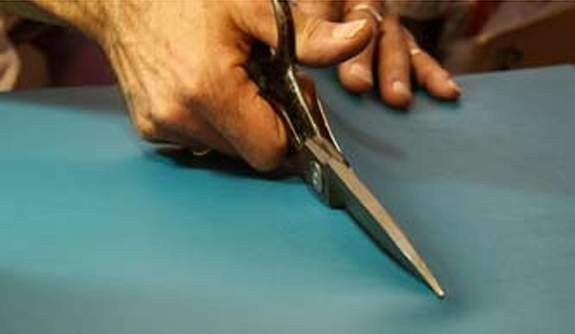 It takes time to complete the tactile handcrafting process and we don't want to part with them unless we know all details are up to our standards. 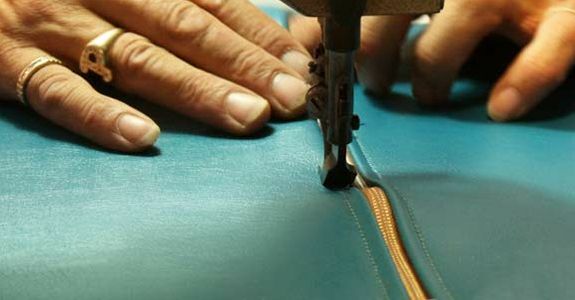 And so before they leave our workshop, we give them a thorough inspection to be certain that all thread lines are well stitched, safety zippers are working properly and there aren't any imperfections in the fabric. 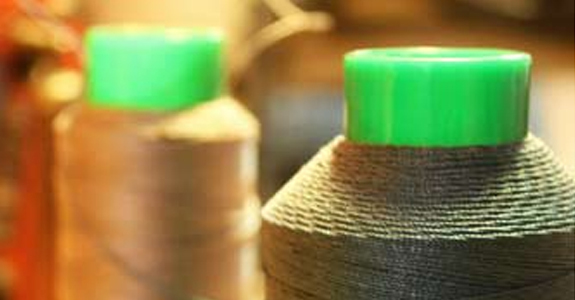 This is important to us as we know such details make a huge difference in the life cycle of each product. And it satisfies our obsession with making things perfect.